There is big, and then there is truly big. You’ll be able to discern the difference easily enough if you travel north from San Francisco on U.S. Highway 101. 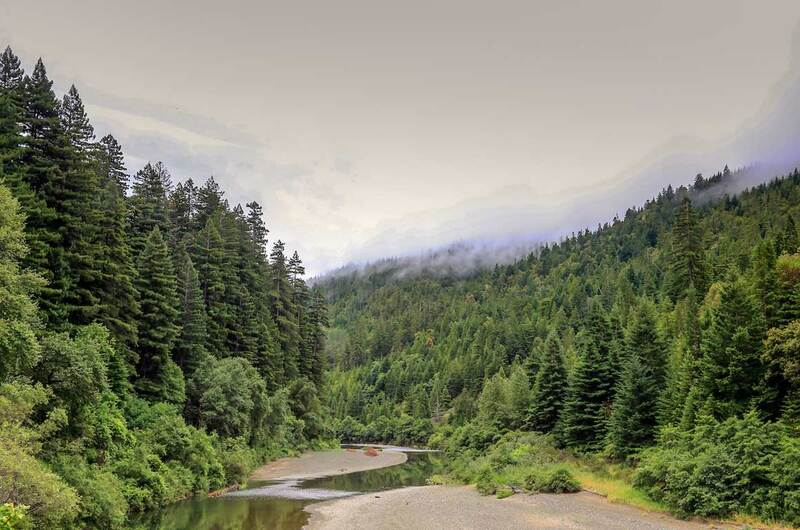 It won’t be long until you discover you are heading straight into northern California’s Redwoods National and State Parks. 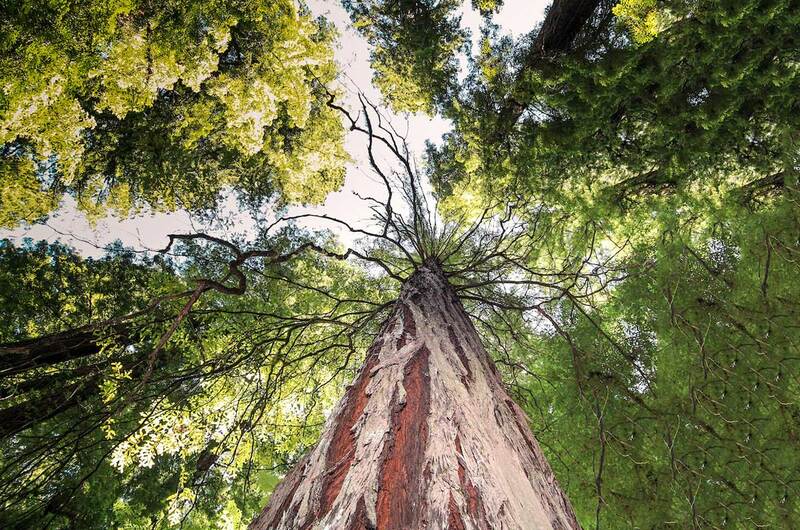 The sheer height of the trees will leave no doubt that you have arrived among the giants. ...the term 'old growth' isn’t just an affectation. Many of these trees have survived for more than a 1000 years. Indeed, it’s difficult to describe in words, or even in photographs, just how tall the world’s tallest trees really are. With many of the old growth tree reaching more than 100 meters into the misty sky, and a few topping 110 meters, they seem to defy physics with their ability to stand at all. And the term “old growth” isn’t just an affectation. Many of these trees have survived for more than a thousand years; the most ancient is at least 2,500 years old. While the lush, verdant rainforest is full of animal life, seeing the fauna amongst the flora is no small task. Most of the creatures there are small and inconspicuous. But rest assured, there is animal life all around you. Quality binoculars will certainly help you find the birds, mammals, reptiles, and even the absurdly huge and ubiquitous Banana slugs. 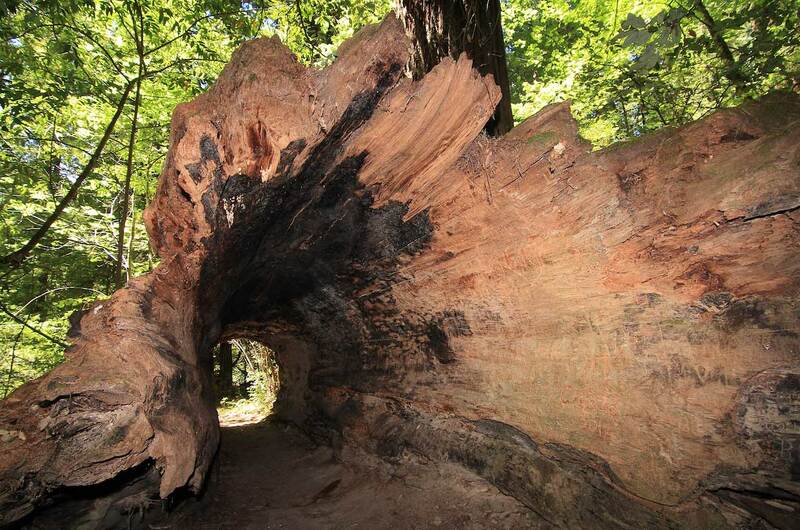 And yes, there are still trees you can drive your vehicle through, like the world-famous “Chandelier Tree” in Leggett, California, but the Redwood experience will more rewarding, and more humbling, if you take the time to walk among the giants, quietly, alone.